On the night of June 22, 1941 unknown planes appeared over Sevastopol. Bomb explosions shook the city. There were first demolitions and casualties. There were also first downed enemy planes… The time was 3:13 a.m. A wartime calendar had come into effect. Sea mines burst in the city. Nazi pilots used them to block off the ships in the bay so as later to destroy them in air raids but the mines dropped on residential houses instead of the bay. 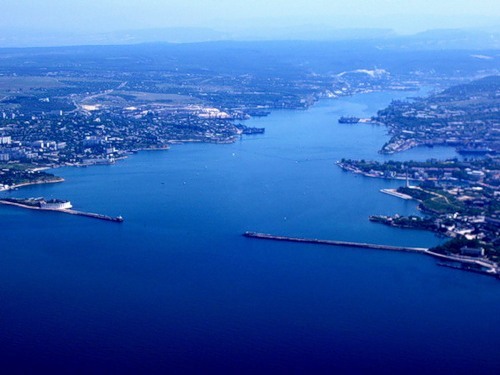 The Crimea at once became a front-line zone. Hundred of people went to the draft stations to volunteer to the army. The rest were on the home front, working without repose and days off. After work, tired, they joined detachments of the People’s Volunteer Corps. The front line approached the peninsula and thousands of Crimean residents took part in the construction of defense installations on the Perekop Isthmus, near Sevastopol and Kerch. In the event of the Crimea’s capture by the enemy, partisan detachments /there were 28 of them/ were formed of volunteers and underground organizations were set up. 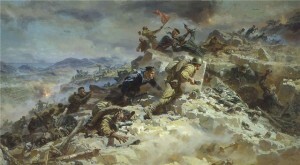 In September 1941 the front line reached the Crimea. Nazi Germany’s leaders attached special importance to the capture of the Crimean Peninsula. It had to be renamed and called Gotland. 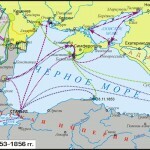 The Crimea also assumed great operative and strategic importance: the peninsula was the gateway to the Caucasus. 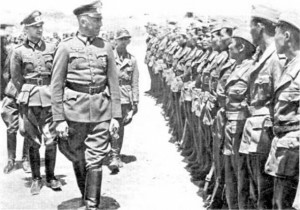 That is why one of the best German crash armies- the 11th, under general Manstein (1887-1973), and the 3rd Romanian Army attached to it, were flung to the Crimea. 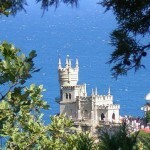 It was planned to capture Sevastopol quickly and without much effort. But the 11th army of Manstein near Sevastopol was eventually worn down and it had to be raised virtually anew. 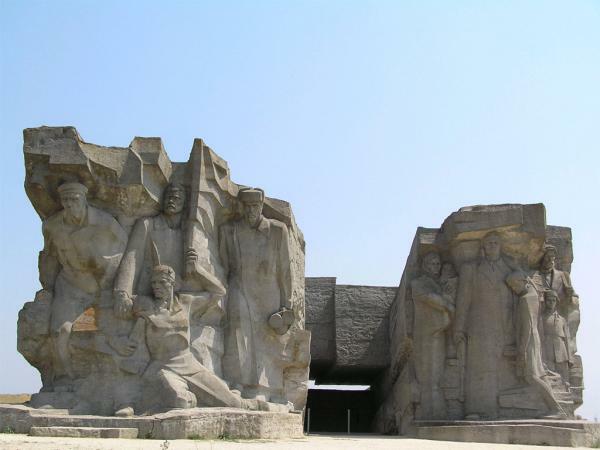 During the war there were many battles in the Crimea, which went down in the history of the Great Patriotic War. On October 30, 1941 the legendary defense of Sevastopolbegan. It became one of the vivid manifestation of the fortitude and valour of the defenders of the glorious city. Cut off from the mainland and faced with a land, naval and air blockade, Sevastopol, for 8 months, immobilized the 200,000 strong, 11th German Army and ground down its troops in stubborn and fierce battles. The 250 fiery days of defence. Each of them can be measured not in days but in the years of a lifetime. Black Sea sailors left their ships and went to the front lines of Sevastopol’s defense. Staunchness was their major weapon. On November 4, 1941 five seamen from the 18th Marine Battalion at the cost of their lives blocked the Nazi tanks on the highway leading to Sevastopol. The city’s defenders fought to the last ditch and did not retreat until they had done all in their power. 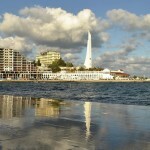 All progressives of the world admired the heroic defence of Sevastopol. 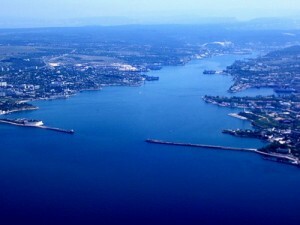 The British Times then wrote that Sevastopol had become a synonym of great courage. 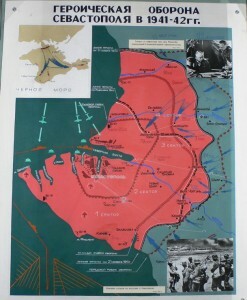 During the war old Kerch several times became a front — line city. 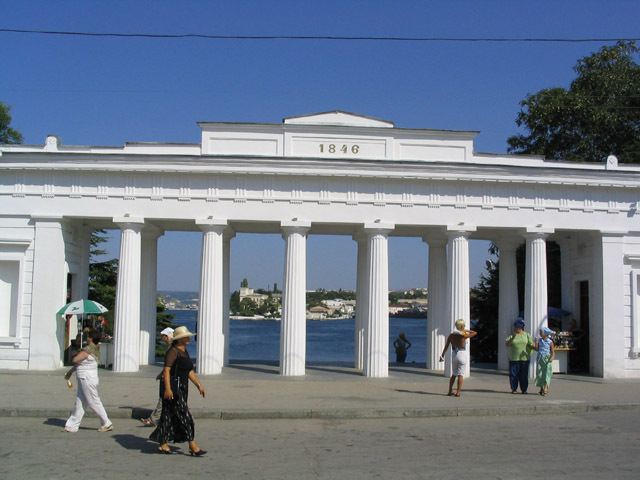 Kerch was twice occupied by the Nazis and twice liberated from them. When Kerch was first liberated in December 1941, the world learned, for the first time about Bagerovo ditch, filled up with the bodies of thousands citizens mas¬sacred by the invaders. The world was shocked. During the second liberation of Kerch in the spring of 1943, people learned about the exploit of the underground garrison of Adzhimushkai and the fighters’ tragic fate. On December 25, 1941 an amphibious force, having crossed the Kerch straight, landed in the Crimea. The Kerch — Feodosia amphibious operation was the Soviet Army’s most important operation of the kind. In the course of that operation the troops of the 51st and 44th armies had liberated the whole of the Kerch peninsula but failed to advance beyond the Ak-Monai positions. In May 1942 as a result of fierce battles, the Nazis recaptured Kerch. Soviet troops crossed to the Taman Peninsula, having left covering detachment behind. They had to fight in encirclement. When they could not hold out any longer they went down to the Adzhimushkai quarries. Here were about 15,000 of them, fighting men, women, old people and children who had come there before to find protection from air raids. The Adzhimushkai quarries became an underground fortress. 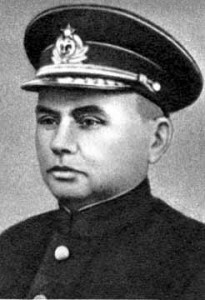 The fight of the garrison, headed by Colonel P.Yagunov lasted for six months. They lived and fought in the most difficult conditions — without water and food supplies, without sunlight. They paid for water with their lives — approaches to the well were covered by Nazi machine guns. And even in this situation the garrison courageously fought against the enemy. They performed sallies and launched night attacks … To break down their resistance, the Nazis began to pump poison gas into the galleries. A few thousand people died in a gas attack on May 24, 1942. The survivors carried on the struggle. The defenders held out 170 days till October 31, 1942. 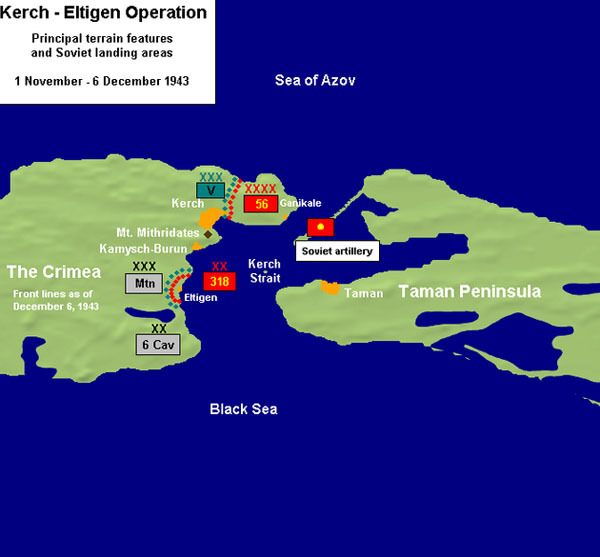 On November 1, 1943 an amphibious force was landed in Eltigen (Heroisky now). The small beachhead was held for 40 days and was referred to as a Fiery Land at the time. Every inch of it was exposed to fire, but the heroes hung on facilitating the landing to the north of Kerch. The 83rd Marine Brigade’s battalion was in the vanguard. In April 1944, from the bridgeheads, captured in the fall of 1943, Soviet troops delivered crushing blows on the enemy’s fortifications. The troops of the 4th Ukrainian Front, the Detached Maritime Army, the ships and aviation of the Black Sea Fleet, the 4th and the 8th air armies were active in the defeat of the grouping of the enemy. 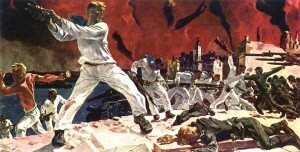 Crimean partisans also participated in the liberation of the peninsula. Nearly 200 underground organizations were active in the struggle against the enemy in the cities and villages of the Crimea. 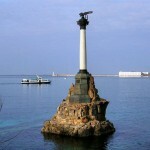 On April 1, 1944 Soviet troops reached the enemy defenses at Sevastopol. 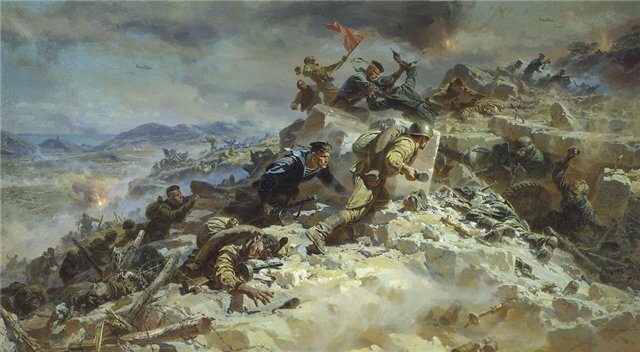 On May 7, 1944 the troops of the Maritime Army and 51st Army mounted the main attack at a section from Sapun Mount to the sea. The assault on Sapun Mount is one of the most vivid pages of the Great Patriotic War, a hymn to courage, bravery and self-sacrifice. 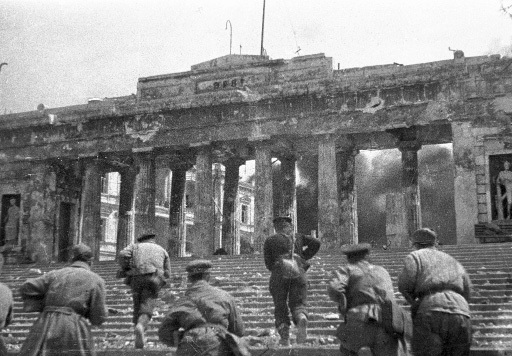 On May 9, 1944 Sevastopol was liberated and on May 12, the German grouping in the Crimea was completely defeated. 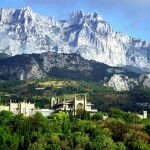 The Crimea was in ruins. 127 towns and villages had been razed to the ground. On the Crimean Peninsula alone 135,000 people, including children, women and the old, died during the war. On 18 May, 1944 the Crimean-Tatars, Armenians, Bulgarians and Greeks were all deported from the Crimea for alleged collaboration with the Germans. « Sevastopol at the Crimean War 1853 – 1856.